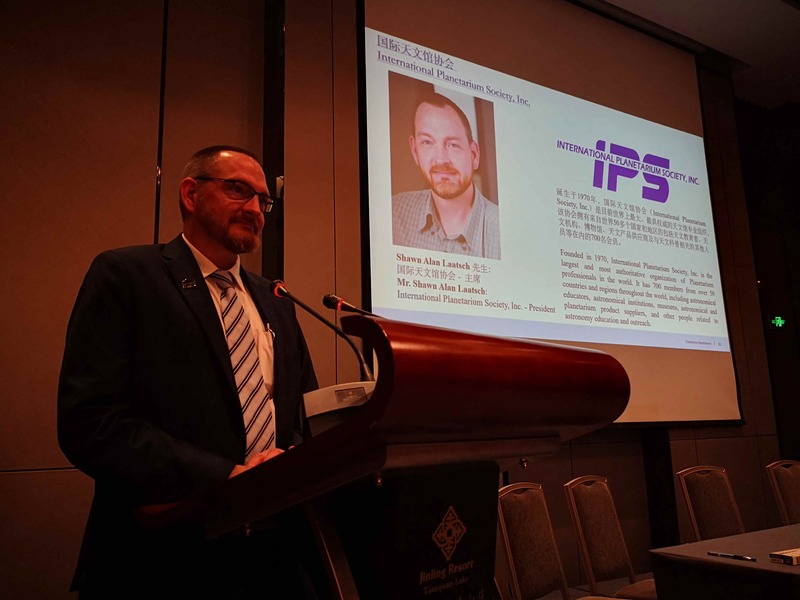 IPS enters agreement with Immersive Experiences for project in Xuyi, China - International Planetarium Society, Inc. The IPS has signed into an agreement with Immersive Dome Experiences Ltd becoming a partner on a new astronomical tourism site in Xuyi, China. This project is one which includes planetarium, observatory, science center, and other astronomically themed offerings. This agreement will aid our organization in providing numerous services to our members. The project is one which is open to any vendor bids and Immersive Dome Experiences Ltd are the project managers overseeing the works. IPS feels this project will benefit astronomy education and outreach in both China and on a global scale. From China Global Television Network (CGTN) - Eastern China town building 'The Sky Eye' to attract world astronomy lover.